The show Quarks & Co. is a science magazine program that was launched on German television in 1993. The 45-minute broadcast highlights one scientific topic each week. The program aims to be informative and at the same time entertaining. It is targeted towards the non-scientific individual who is interested in science but is not an expert. Nearly a million viewers tune in where they get highly complex issues explained in a clear and concise way so that they can easily understand the most difficult scientific concepts. The presenter, Ranga Yogeshwar, studied astrophysics at Rheinisch-Westfälische Technische Hochschule, Aachen, Germany and created the show, Quarks & Co. in 1993. He enjoys getting personally involved in each show and has been known to participate in some of the controlled scientific experiments he discusses on the show. On episode #517 Mr. Yogeshwar will be explaining how the Horvath Clock, developed by Dr. Steve Horvath, can determine the biological age of a person. Zymo Research launched their DNAge™ test to the research community in December of 2016, after obtaining an exclusive license for Steve Horvath's DNA Methylation-based Molecular Clock. Based on principles originally described in the Horvath Clock method, the DNAge™ significantly impacts the aging research field by providing a precise aging quantification technology. 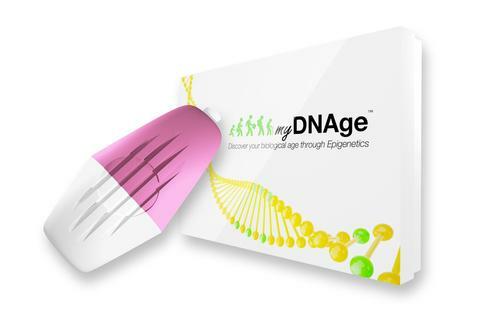 Epimorphy obtained the right to provide DNA methylation age analysis to the consumer marketplace, branding it the myDNAge™ test in July of 2017. The epigenetic-based test compares an individual's biological age to his or her chronological age. Such information could provide insight into how lifestyle and disease may influence the aging process, and could also be used to develop new anti-aging therapies. The myDNAge™ test is not intended to diagnose, treat, cure or prevent any disease. Consumers can order the test at www.mydnage.com at a cost of $299 (USD) per test. Once the sample is submitted, it is prepared and analyzed using Zymo Research's proprietary DNAge™ technology, and a report including data analysis and biological age determination is sent to the consumer. Dr. Larry Jia, Founder and CEO of Zymo Research, noted, "The epigenetic clock can be used in a broad range of research, such as cancer or stem cell, and offers researchers valuable insights about the biological age of tissues and cell types. Zymo Research has extended this service to consumers to determine their biological age, which can reveal a great deal about general health and the rate of aging."